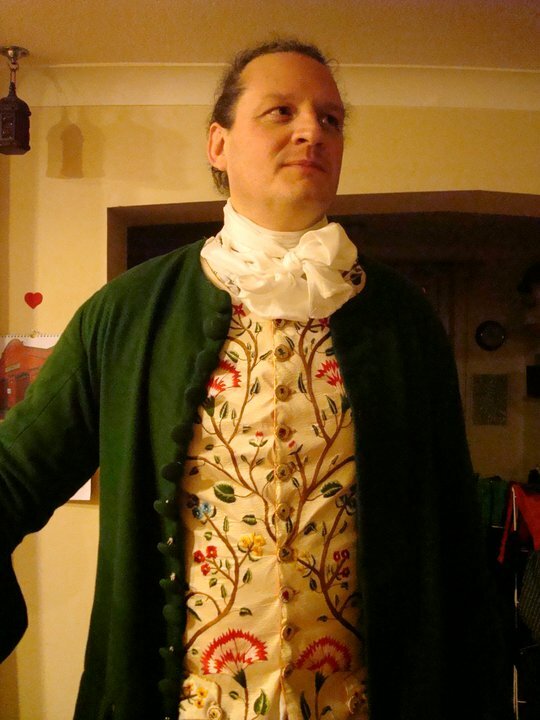 You may remember some time ago I wrote about my talented friend Bucket and his 18th century embroidered waistcoat. Well here is a pic of it in its finished state – I hope Bucket does not mind me sharing this pic from his partner’s Facebook album. Look at the amazingness of this! 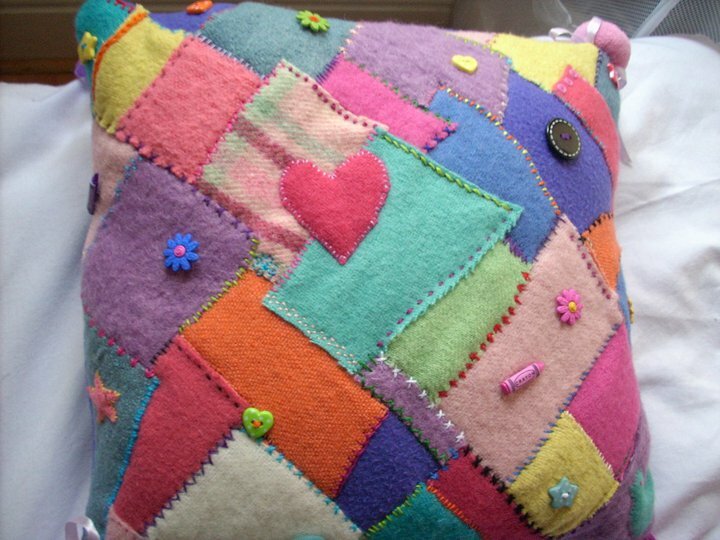 My wonderfully talented daughter Ellie has also been very busy – she had a very cute patchwork cushion kit from Madeline Millington for Xmas and her friend Gemma has given her a sewing machine so she has produced this very lovely cushion. Here it is on her bed. Being looked after by her collection of frogs! I have not got much to report myself this week – so it is a good job Facebook came to the rescue for me as I am still only halfway through Ellie’s hat – since it is knitted in black and the weather has been awful I don’t think I could have got a decent pic for you anyway. Would have made more progress but have had another very busy week. Did have a long train journey this week and took the knitting but sadly it was a crowded train and I didn’t want to poke the guy next to me with my needles so got little done – must learn to knit on circulars so I can knit more on trains! I was hoping to do a bit of garden tidying this weekend – we had a couple of days with a bit of blue sky and I got all optimistic but then I remembered that I live in Yorkshire and it is only the first week of Feb! The poor garden looks so tatty – I am longing to be able to get out and restore it to prettiness – roll on summer! The very, very good news is that full boiler function was restored on Weds – ohh the warmth – it is so fantastic and it did not mean having to have a new boiler thank goodness so we are all very happy and toasty once again. I have just ordered a new book from Amazon as I am going to be participating in Crazy Aunt Purl’s book club on her blog. I have meant to join in before but have missed deadlines but this book looks particularly good as it is about immigration to the USA which is a subject I am really interested in. The book is called When We Were Strangers and looks like a very nice read. It may well be my holiday book as I am off in two weeks for a little bit of ‘blue skies and bougainvillea’ therapy in Spain again. Have also treated myself to another Laura Ingalls Wilder book as I love reading things from her life. 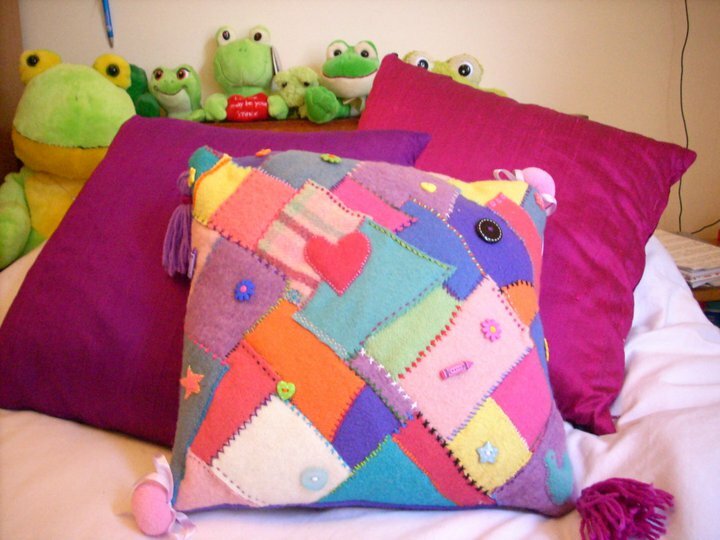 Well I hope that you are all having a lovely crafty weekend and are nice and warm and toasty – just listening to the rain lashing down makes me very glad to be inside – off to stir my beef stew now!